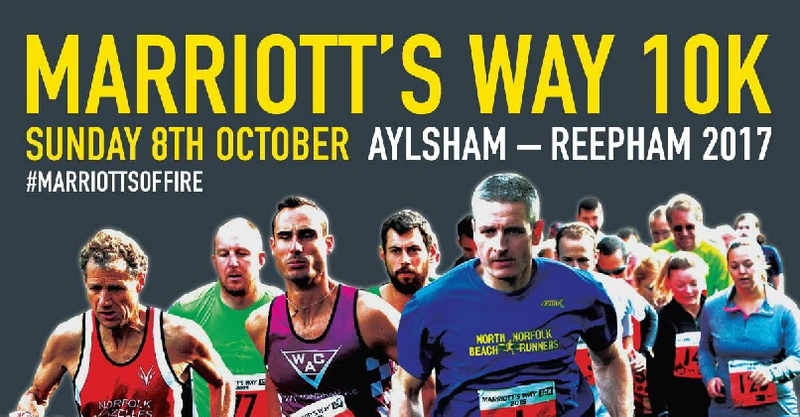 The Marriott's Way 10k 2018 race will be held on Sunday 07 October. The 10k race along the Marriott's Way between Aylsham and Reepham is mainly off-road and predominantly flat. This makes it ideal for beginners and the more experienced runners alike. There will be four waves of runners, 11am, 11.10am, 11.20am, 11.30am offering more people the chance to take part. The race will finish in the historical Reepham Market Place where spectators are encouraged to cheer the runners over the finish line. This is just an email to say a big thank you for all your help on Sunday! We really couldn’t do it without you all! I think it was a successful day, and went as smoothly as it could go for such a complicated event. I hope you enjoyed the day as well. If you do have any feedback good or bad that you haven’t said yet, please let me know. I hope you will all be able to join us again next year!